This fence has been standing a very long time. It was once the burgundy red color and I gave it a coat of black paint a couple years ago. It looks weathered and old and that is fine with me. Perfect can be boring. 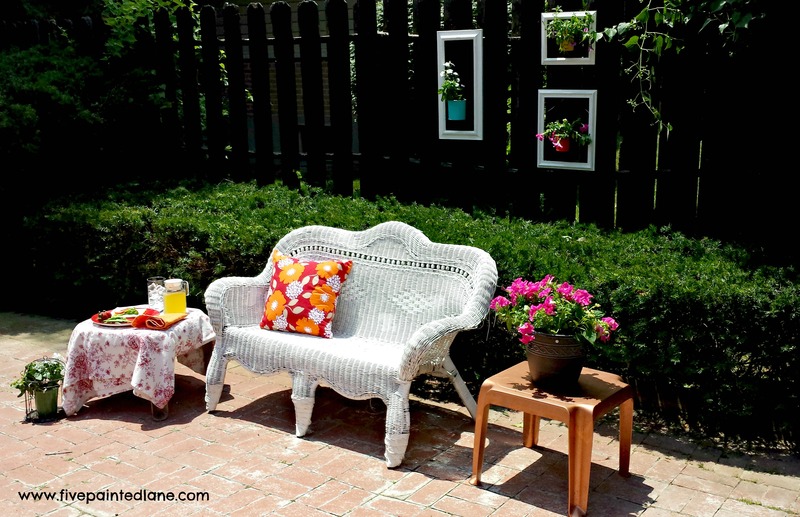 Since I have been embracing COLOR lately in my patio area, I just kept going. 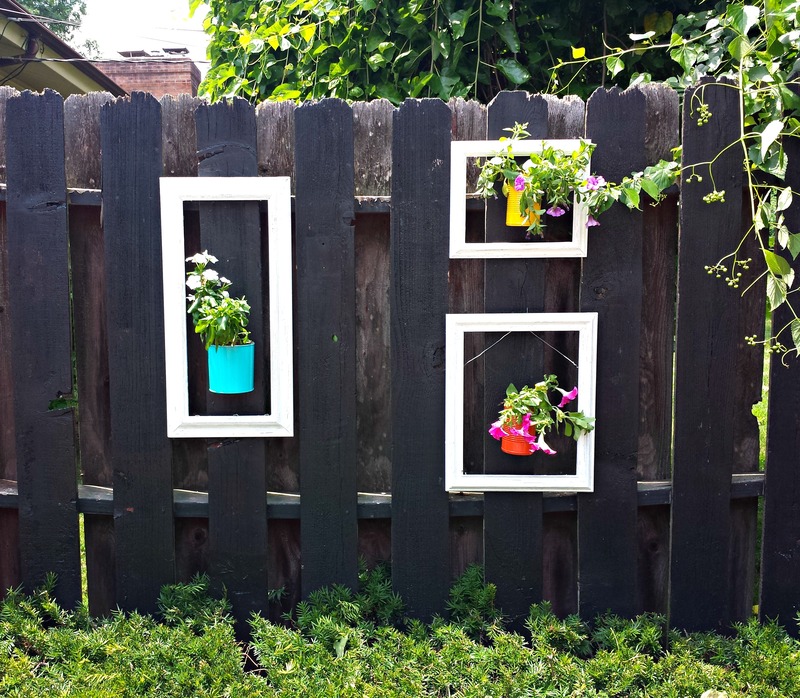 Thrift store picture frames surround soup cans up cycled as little planters. I used a nail to put holes in the bottom for drainage and a hole near the top rim to hang on a nail. We had this sunny but not too hot breezy day here in the midwest and this was the perfect place for lunch. 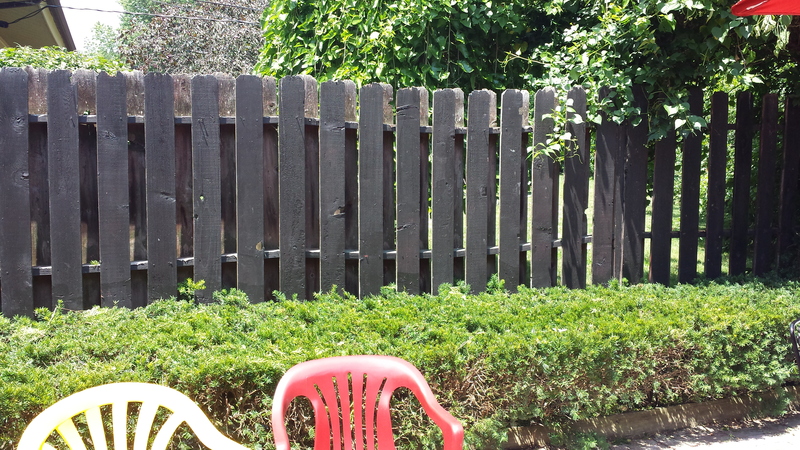 Pingback: Awesome Ways To Make A Boring Fence Beautiful — Your Neighbors Will Be Jealous | Welcome to Jessica's Blog!